With North Korea's relations with the rest of the world at a new and unpredictable inflection point, National Geographic Documentary Films presents INSIDE NORTH KOREA'S DYNASTY, a groundbreaking four-episode documentary series that examines the extraordinary history of the world's only communist dynasty, three generations in the making. Featuring interviews with journalist Jean H. Lee. When experienced reporter Jean Lee took on the role of AP bureau chief in Seoul, she was asked to establish a bureau in North Korea’s capital, Pyongyang. The task, which seemed almost impossible, became even less certain when the Supreme Leader, Kim Jong Il, disappeared. Jean managed to open the news bureau in 2012, and was witness to the momentous change brought to North Korea by Kim Jong Il’s death. Jean Lee joins host Margaret Brennan and Sue Mi Terry of CSIS to discuss the latest on North Korea on Face the Nation. To understand more about what North Koreans are watching and what the government wants them to think, we arranged a screening with Jean Lee, who became an expert in North Korean television when she worked as a journalist in Pyongyang. In order to learn more about Kim’s policy priorities and everyday life in the secretive kingdom, VICE News binges North Korean soaps with the Wilson Center’s Jean Lee. Michel Martin asks North Korea expert Jean Lee, former Ambassador to South Korea Mark Lippert, and former COO for the U.S. Olympic Committee Lt. Gen. Wallace Gregson about behind-the-scenes diplomacy. Jean Lee (@newsjean) is a journalist and Global Fellow at the Wilson Center. She speaks with Here & Now's Robin Young about the Olympic detente that North and South Korea are negotiating, which is leading to a unified march during the PyeongChang Olympics opening ceremony next month, and a delegation of North Korean musicians and cheerleaders attending the games. NPR, All Things Considered: North Koreans' Attitudes Of The U.S. The relationship between President Trump and Kim Jong Un made headlines again this past week. NPR's Michel Martin talks with North Korea expert Jean H. Lee, of the Wilson Center about how people on the Korean peninsula view the U.S.
North Korea marked its most important holiday today -- the Day of the Sun, which commemorates the birthday of founding ruler Kim Il-sung. Jean Lee joins Hari Sreenivasan from Seoul for more on tensions with North Korea. NPR's Ari Shapiro talks with the Wilson Center's Jean Lee about where denuclearization negotiations stand between the U.S., South Korea and North Korea. 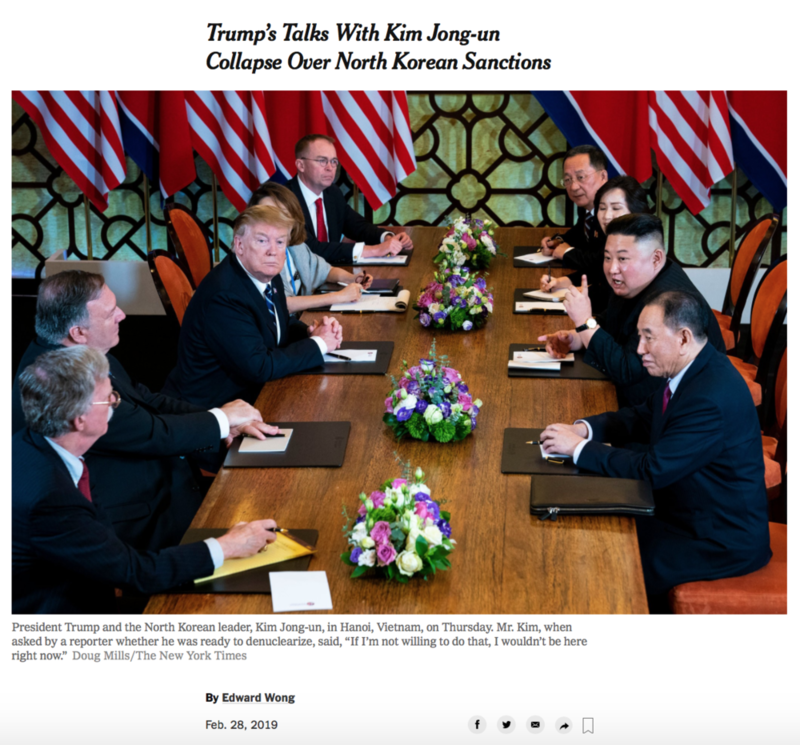 he collapse of the US–North Korean denuclearization negotiations in Hanoi earlier this month and the prospect of a return to President Trump’s hard-line rhetoric of 2017 have intensified public interest in what life is really like inside the Democratic People’s Republic of Korea, a country known as one of the most repressive on earth. So it’s no surprise that dozens of Washingtonians have come to see John Feffer’s new play, Next Stop: North Korea. It’s the latest in a series of one-person dramas the author, novelist, and sometime Nation contributor has written and performed in over the past eight years. Jean Lee speaking with CBS News in the days before the Feb. 27-28, 2019, Trump-Kim summit in Hanoi. “This result leaves very little room for Kim to save face,” she added. NPR: What Has Been Accomplished Since The First Trump-Kim Summit? What Has Been Accomplished Since The First Trump-Kim Summit? 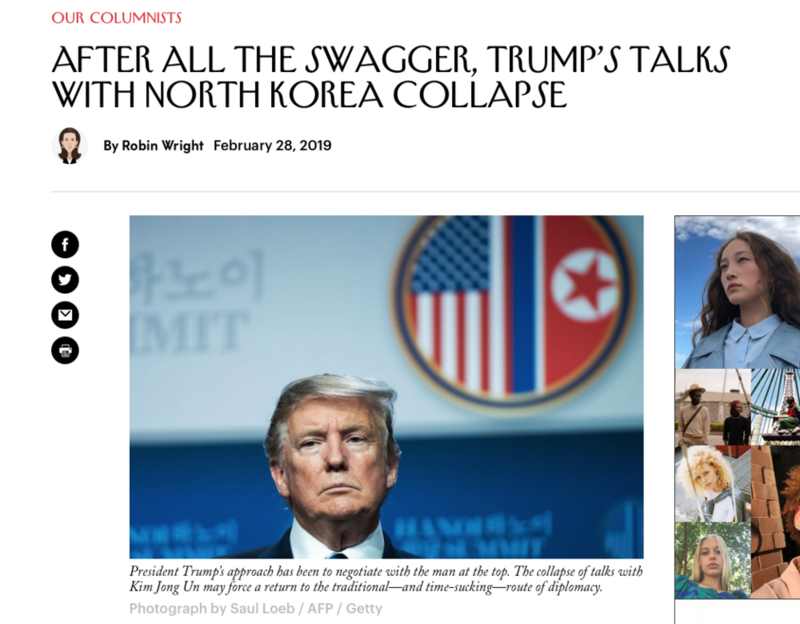 Rachel Martin talks to Jean Lee, a Korea expert at the Woodrow Wilson International Center for Scholars, about expectations for the second summit between President Trump and North Korea's leader. Feb. 25, 2019 - 4:08 - North Koreans are going without heat during an incredibly cold winter, says Jean Lee, director at the Woodrow Wilson International Center for Scholars. CNN: Trump Kim summit: What does a win for North Korea look like in Hanoi? He was a legendary guerilla fighter, battling to free Korea from Japanese occupation in the 1930s. He went on to start the Korean war—and establish North Korea as the most controlled society on earth. How did Kim Il Sung rise to power, transform himself into a “living god,” and launch a dictatorship that has lasted for three generations? Jean H. Lee provides commentary on Kim Il Sung’s rise to power in this PBS documentary. Washington Post: He helped Trump confront North Korea. Now Ji Seong-ho wonders whether human rights will be left behind. “Both the South Koreans and the North Koreans have made a very compelling case for starting the process with at least a declaration,” Jean H. Lee, a Korea expert at the Woodrow Wilson Center in Washington, said at a talk there on Wednesday. NPR: Who Is North Korean Diplomat Kim Yong-Chol? A top North Korean Diplomat Kim Yong-chol met with President Trump Friday. NPR's Mary Louise Kelly speaks with journalist Jean Lee of the Wilson Center about the diplomat's background. The leaders of North and South Korea announced a wide range of agreements Wednesday, which they said were a major step toward peace on the Korean peninsula. But the premier pledge of denuclearization contained a big precondition: North Korean leader Kim Jong Un said he'd permanently dismantle his main nuclear complex only if the United States takes corresponding measures. Here & Now's Jeremy Hobson speaks with Jean Lee (@newsjean), director of the Center for Korean History and Public Policy at the Wilson Center. New York Times: Why Is the U.S. Wary of a Declaration to End the Korean War? Though only a brief interaction, it was telling that the salute was included in the documentary, according to Jean H. Lee, a North Korea scholar at the Woodrow Wilson Center in Washington.